UPDATE II: "Last month, Fox calculated that they needed Trump more than he needed them. That calculus may be changing." Read Salon, The Donald Trump vs. Fox News saga rages on: Why this time is different — and worse — for The Donald, which concludes "[r]egardless of how the Trump-Fox saga plays out, Trump isn’t going away anytime soon. Every other network will gleefully book him as a guest whenever they can. His rare combination of confidence and lunacy still makes for great TV. And if Fox does cut ties with Trump, it will likely alienate further a segment of the conservative base that is already suspicious of the establishment. Which, of course, is great news for the Democrats." UPDATE: Who is the real Trump, an 'over-the-top conservative' or the world's greatest prankster? And read the Washington Post, Donald Trump: Real-life manifestation of Stephen Colbert’s alter ego? "In what can only be a calamity for the folks at 'Fox & Friends,' Donald Trump today signaled via Twitter that he’s not going on the network . . .
It’s unclear to what Trump is referring when he mentions the unfair treatment of the leading cable news network. What is clear is that the candidate on Monday night zipped off some absurd complaints about coverage of his candidacy on 'The O’Reilly Factor.' . .
As we’ve noted, those complaints carried the usual Trump trifecta of baselessness, thin-skinnedness and narcissism." Read the Washington Post, Donald Trump is boycotting Fox News. 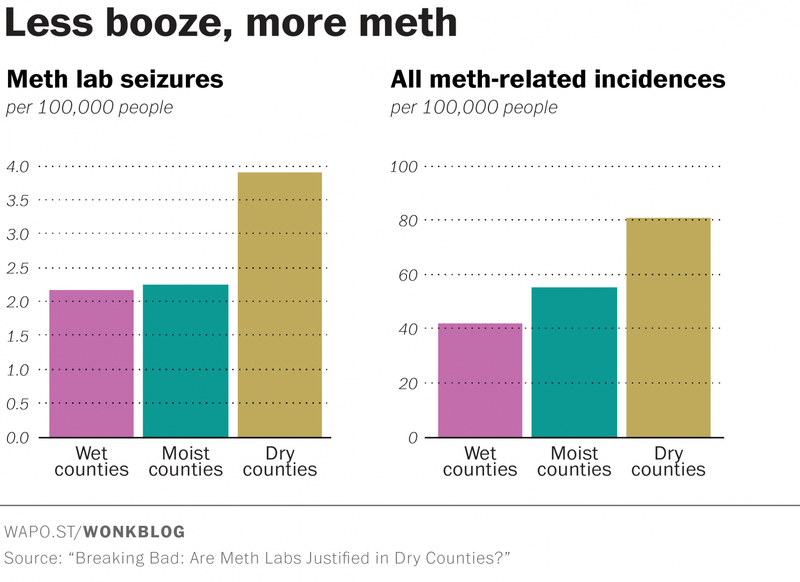 "'Dry counties' that prohibit alcohol sales seem to have . . . higher rates of DUI-related car crashes . 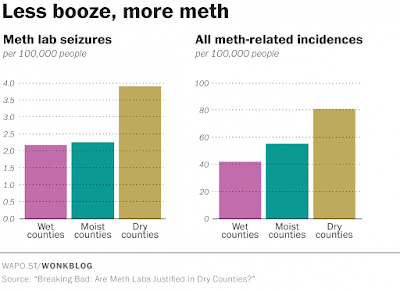 . . [more] binge drinking"and more meth labs and incidents. So does that make our local Imam Truthiness (formerly known as Pastor Truthiness and Pastor Poppins), who opposes alcohol sales, a drug pusher? "Clinton's campaign, one of the most thoroughly dissected in modern history, never raised questions about the future president's citizenship. The idea that it did is based largely on a series of disconnected actions by supporters of Clinton . . .
Clinton never personally called for the release of Obama's birth certificate or questioned his American bona fides." Read the Washington Post, Republicans are blaming Hillary Clinton for the ‘birther’ movement. That’s wishful thinking.